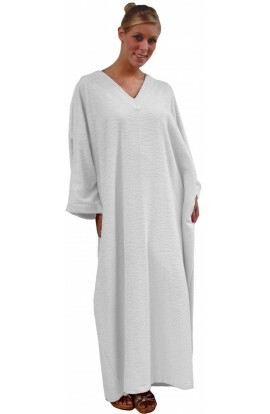 TOWELLING KAFTAN LADIES OR GENTS - TOWELLING KAFTAN - COLOUR WHITE An absolutely indispensable item for popping on after a shower or bath. Excellent for lounging in the evening and to slip on first thing in the day. Made from absorbent medium weight towelling, not too heavy to be..
TOWELLING KAFTAN LADIES OR GENTS - TOWELLING KAFTAN - COLOUR NAVY An absolutely indispensable item for popping on after a shower or bath. Excellent for lounging in the evening and to slip on first thing in the day. 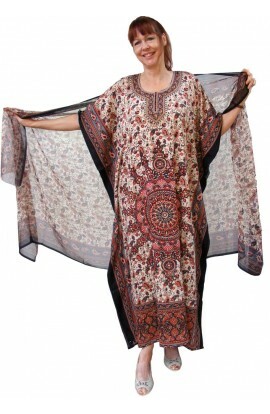 Made from absorbent medium weight towelling, not too heavy to be ..
TOWELLING ZIP FRONT KAFTAN - plus-size DUSKY-LILAC Below knee length 42" This is an ideal garment to wear at any time around the house. It is also useful to wear after a bath or shower. Can also be worn after swimming. Features two patch pockets Garment measurements at Bust a..